After a pretty ragged start to the season which saw the Braves boot the ball around like they were auditioning for a spot with the Atlanta United FC. Needless to say, no one secured a spot on the football club for fear of a rash of own goals occurring. While the Braves were in most of their early games, unforced errors led to a 1-6 record. Along with a split of a two game set in Miami, the Braves returned to the Atlanta suburbs and their new home of Sun Trust Park. Warm weather and timely hitting as well as fundamentally sound defense the Los Bravos have chopped their way to a modest 5 game win streak. Perhaps most encouragingly it has been done in the absence of Matt Kemp while he rested a cranky hamstring. The braves still face a pretty tough road as they continue to seek answers at several key positions. Adonis Garcia continues to man the third base position and it is likely he will be one of the first to be jettisoned when a suitable alternative is procured. Perhaps his best role would be as a right handed pinch hitter off the bench but after having future hall of fame player Chipper Jones play there, the drop off is noticeable. Even Martin Prado was solid as a super sub manning the position. The Braves bullpen has found the sweet spot too with Rameirez, Vizcaino and Johnson closing games but these guys cannot pitch every night. It would be nice to see Braves starters going deep into games instead of coming out after 5 or 6 innings. Ian Krol still seems to have some problems being consistent in the strike zone and causes me to have some angst when his number is called to come in from the bull pen.What we don’t want to see is Snit fall in love with the same three guys every night to the point they lose their effectiveness or their arms fall off by August. So, as the gNats blow into town, the first real test of the young season might well be upon us. Swatting the gNats could go a long way in showing this team and baseball they are pretty far along on the road to respectability. 97: Frank has some work to do…. I think the injury to HeyHey only underscores the Braves need to pick up an everyday LF. At the moment, we have Omar serving as the RH compliment to Hinske with Brandon Hicks as the backup SS. This should not be. Omar is the back up SS/super sub. The key word there is “sub”. He makes this team stronger as a sub, not as a regular. If we had an everyday LF capable of batting in the middle of the lineup, then we could have both Hinske and Omar on our bench, occasionally spelling the regulars and keeping everyone fresh… not to mention coming to the plate in late innings with runners on base instead of Brandon Hicks. KnowhatImean? The CF situation already stretches this team thin as far as OF goes. My hope is that Nate’s extended time off will allow him to return to vintage form. Or if nothing else, the Braves can see that he will not, and to do something about it. Melky has been hot lately, but do we really want to count on that to continue into October? This team would be best constructed with Melky serving as the 4th OF. Do I think that Frank should address 2 OF positions before the trade deadline? Maybe. It’s not job #1, but something will have to be done. — Nate, Schafer… heck, maybe even Blanco. He hasn’t been terrible, you know. He certainly hasn’t been a downgrade from Nate. I don’t care, but consistency has to be found. Melky is not consistency. Melky is a day off. Somebody needs to step up. Else Frank has some tough choices. My beloved Braves are a 1st place team not by accident, but by pure hard work, desire and talent. Oh, they are talented. They are absolutely talented. They have a good mix of veterans and young players, they have terrific pitching, they have grit and energy… they are a playoff team. But, as currently constructed, they have flaws. Those flaws will become more and more exposed as the season grows longer, and really exposed in any post-season that may occur. Frank must acquire an everyday LF. Period. CF might take care of itself. Or it might just take alot of prayer, duct tape, bubble gum and grinding until October. But LF has to be addressed. As we move into September, and all of our games are against the NL East, it’ll essentially feel like a full month of playoffs. It’ll also stress this team like a full month of playoffs. The current roster won’t take those stresses. It’ll fly apart at the seams like Oprah’s girdle. I say Frank should take care of it now. We need a LF. Anybody got the number to Outfielders ‘R’ Us? 93: Spring Has Sprung – or soon will! Well, with snow blanketing much of the US, clearly – it’s time to talk Braves baseball! So, what do we make of the Braves version 2010? Wasn’t it weird to have an offseason where the last thing we as fans were looking for was starting pitching? Too many starters in fact. When did we last have that problem?! 19 hundred and something, at the latest! Of course if any of the main guys go down, then we are like every other team in baseball, hoping and praying someone at AAA can go 5 innings and only give up 3-4 runs. But, as of now, I am sure everyone will agree that our starting pitching is in very good shape. As good as it was at the start of last season. Wagner is a relative spring chicken compared to him as he will turn 39 in July. 62 Games and 62 innings the past two years. Can he pitch in 3 straight games?? 2 straight?? We know if the 87 games Peter Moylan pitched in last year don’t cause his arm to fall off this spring, he will be a steady presence, most likely racking up 80 plus appearances again. Kris Medlen should continue to improve on last years work. Eric O’Flaherty will get the lefties out once again. Scott Proctor, if he has regained his health, could be a big boost to the bullpen. Bobby has to find someone else to rely on besides Gonzo, and Sori…oh wait…anyway. He has to find a way to trust someone besides the 2 middle-aged guys. Just can’t use them like guys 10-12 years younger. Will Manny Acosta finally get his act together??? Will Chris Resop and his 100 MPH stuff finally come through??? Those guys clearly have great stuff…. Starting at 1st. Troy Glaus. Man, if this was 2009, we would be tickled to get him after another 100 RBI season. But it’s 2010 and in 2009 he hit .172 in just 29 AB’s. The biggest thing going in his favor is he is still fairly young, won’t turn 34 til August. 2nd Base. Toot toot! (me tooting my own horn) I have long been a fan of Martin Prado. It seemed like he would never get his chance to show what he could do as a full time player. Finally got that chance, and showed to everyone he deserves it. Still, he only has 770 AB’s for his career, and some guys the league does figure out. I don’t think he will be one of those though. SS: Yunel Escobar. He has finally proven himself, offensively and defensively -well, as long as no one is sliding into him!- but what about between the ears? Didn’t it seem last year that any day he would do just the right thing to get his talented behind traded??? Will he finally mature this year??? 3rd base: Ol Chipper. There was this 37 year old. He hit 17 HR’s drove in 62 RBI’s and hit .337. Then he turned 38 and in 404 AB’s hit 14 HR’s drove in 44 RBIs and hit a lousy .255. A lot of people thought he was washed up. His manager even was trying to tell him he wasn’t a regular anymore. He hit .275 at the age of 39, .288 at the age of 40, and at 41, in 505 AB’s he hit 19 HR’s Drove in 82 RBIs, and had a .330 B.A. Unless I have a cystal ball (I do, but it only sees 30 seconds in the future) I am not talking about Chipper, but another guy already in the the Hall of Fame. Stan Musial! Wait, what am I forgetting on the infield? Catcher. McCann and David Ross. If healthy, no worries. Nuff said. Left field: Matt Diaz hit .313 last year! Seems hard to believe, doesn’t it?! He was very streaky early, .216 in April, .378 in May, .250 in June. I think if he didn’t take those terrible swings on pitches low and outside he’d be thought of as a regular, IMO. Anyway, likely a platoon guy with Melky Cabrera, who last year hit .274, 13 HR, 68 RBIs. He lost the starting job last spring but won it back when Brett Gardner went on the DL. So, Cabrera was in 154 games last year, the guy to man center for a team that won 103 games. Of course, they also traded him. But both he and Diaz arguably should be starting players, though neither has a whole lot of power. Seems we do have plenty of outfielders though, if you toss in Eric Hinske. Center field: Nate McClouth. Did you know he hit 26 HR’s and drove in 94 in 2008? Do you understand why I think it’s bat poop crazy for him to bat leadoff on a team with little power? *sigh* Tilting at windmills. Right Field: some kid – what’s his name? The JHey Kid! Is he the real deal? Everyone says he is. Those short clips I’ve seen on the web show one of the smoothest swings out there – but he is 20. What can we truly expect from him? Willie Mays failed at first. Cal Ripkin was bad at the very beginning, as well. ARod, at the age of 20, hit 36 HRs, drove in 123 and had a .358 BA. But he also played 65 games in the previous two years in the majors. Ken Griffey jr came up at 19, and hit 16 Hr’s drove in 61, and hit .264. Are those realistic numbers for Heyward? Would we win with those numbers? Or How about what a 23 year old rookie by the name of Mark McGwire did as a rookie? 49 Homers! Not much pressure, but he should shoot for 50 to break his record! Still, wish the Braves had brought JHey up for a cup of coffee, especially if they are counting on him right out of the box. So, long story longer – who knows what will happen this year? 3rd, 2nd or even 1st place all seem to be valid possibilities. Which is why we watch the games, right? 90: Where’s the Big Bopper? It’s gonna take more that a ride on the Polar Express to make me believe. This years Free Agent crop is headlined by two premier outfielders, Jason Bay and Matt Holliday. Do I really have to go into deep detail as to why the Braves cannot be considered serous contenders in the bidding for either of these two Rolls Royces? I don’t think I do. Past the luxury models, we can move to the more affordable, practical sedans. OK, what about Center Field? OK, there we can find Mike Cameron. Past that there’s Rick Ankiel, Andruw Jones (ugh), and Corey Patterson. Bleh! Maybe Right Field. Maybe not. Austin Kearns? Brian Giles? Jermaine Dye? Do you really want Dye in left field? Do you remember some of the misadventures we endured with Anderson? No thanks! Bottom line: The Big Bopper isn’t there. What about the trade market? Adam Dunn and Josh Willingham immediately come to mind, but why would the Nationals trade their core offensive players to their division rival? Answer: they won’t. Not happenin’. Carlos Lee? Contract is too prohibitive. Delmon Young? We just traded our version of Delmon Young to the Mets. Cody Ross? See Dunn and Willingham. Brad Hawpe? Nick Swisher? Not enough power to be a bopper. Maybe Ryan Ludwick? I don’t see St. Louis trading him since Holliday is likely to sign elsewhere. The one guy who might be out there and fits the description is Adrian Gonzalez, but it is not yet determined if he’s actually going to be available, and the Padres would gut the farm system of just about everything leftover after the Tex trade. Uh, no. 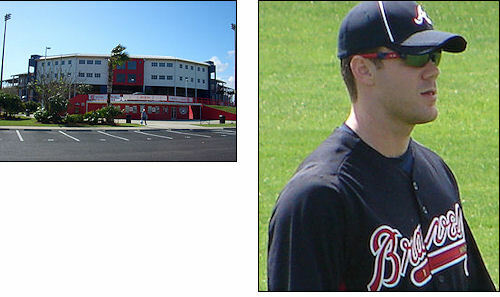 Much has been said recently as to the candidacy of Dan Uggla. I’m not buying. First, he’s never logged one inning in the major leagues outside of Second Base. And he didn’t do that particularly well. Why would you take the absolute strength of your team, being pitching, and reduce it with sub-par defense? Answer: you won’t. Also, see Dunn, Willingham and Ross. The Marlins do not particularly want to make the Braves any better, and likewise the Braves do not particularly want to make the Marlins any better. That is what you call “not a match”. And that is what Frank has to find in the trade market… a match. Who will take our surplus (pitching, KJ) and give us our need (LF, 1B, ‘pen)? So, what can we take from all of this blather? There isn’t a Big Bopper out there and available. We probably have a better chance of seeing the real Big Bopper rise up and sing <i>Chantilly Lace</i> as we have of landing a Big Bopper for the lineup. So, how do we overcome that obstacle? Well, is it really an obstacle? Three mid-level signings give you a pretty darn good team, in my view. Mike Cameron, as I have said over and over, can be had on a one year deal for around $7MM, plays stellar defense, and will give you 20-25 HR’s and 70-80 RBI. Re-sign Rochey and Gonzo, and you have a team to compete with anyone in the NL. And we can afford that. We need to take a step back and realize that after the acquisitions of Nate McClouth and Rochey, we played as well as anybody in the league. And that was with Chipper tanking and Garret Anderson in left field. I’ll take a whole season of both Rochey, an outfield of N8, Cameron and Diaz (and/or JHey, but that’s a separate topic). Add that to the best starting rotation in the National League, and maybe in either league, and we have a winning team. The best part? We still have a starter to trade… we still have ammo to fill the gaps. And we won’t have Greg Norton. 88: Would you believe, we missed it by this much! Would you believe, we missed it by this much…. Last week in a post race interview with Nascar racing bad boy Kyle Bush, he was asked if he felt let down by just missing stock car racing version of a play-off by 12 points, just edged out by another team in the final race of the regular season. He was reflective and truthful in his reply when he said it was not the most recent race that was his downfall but rather the accumulation of near misses and questionable moves over the 26 race prelude that cause him to come up short. I think that could also sum up the Braves season quite well. It was not losing two of three to the Phillies at home last week that have all but ended the Atlanta team’s playoff hopes but many instances where the Braves failed to play up to their potential over the course of a 162 game schedule. However, the Braves faithful should not lose sight of what has been a remarkable turn-around for a club that was woefully bad last year. Going from a team which lost 90 games in 2008 to one that will likely win that many this year. In a world where everything seems to rely on winning the last game played in a season, the following of the Bravo’s should take heart that the future bodes well for their favorites. There are a lot fewer holes to fill for next season. Frank Wren and company has done a pretty spectacular job of rebuilding the pitching staff and is a much better place than last year when filling the team’s need for a power bat in the line-up. In fact could be made that if the Braves had been able to field the team they currently have during the entire season, the results would be much different right now as far as the playoffs and likely would be holding off the Phillies for the NL East title. Kelly Johnson, while he may still ply his trade with another major league team next year, I doubt it will be in Atlanta. Kelly still has potential but the Braves have other options that are far cheaper and have greater ability at his position. Rafael Soriano: While he can be a top shelf closer at times and un-hittable, his price tag will be too high for as far as Atlanta is concerned especially with the emergence of Peter Moylan and Eric O’Flaherty. Mike Gonzalez: See above. Rocky will make a great closer for a team that does not over use him. 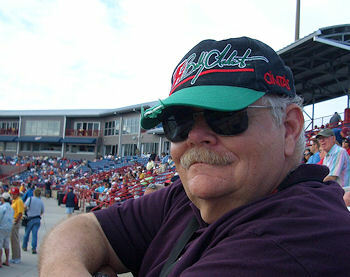 Gee, can you imagine what a pitching coach like Dave Duncan could do with a talent like his? Awesome. Garret Anderson: While he has shown flashes of his greatness at time this year, I doubt he will return for an encore performance. With some pretty good talent in the wings for the Atlanta with Heyward and Scheffer, I think the money paid to him this season will be used elsewhere. Probably to re-sign Adam LaRoche to a two year contract. 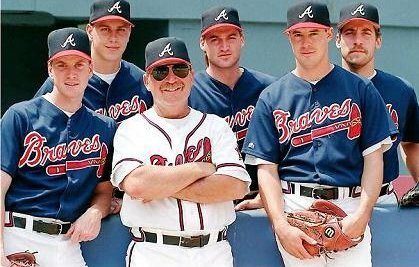 87: The 2009 Braves – or …. How We Managed To Lose Games We Should’ve Won. The most frustrating thing in sports is watching your team lose when you know it is more than capable of winning. Surely all fans feel or think or say that as they seek answers to why their team failed to have a winning season and reach the playoffs. For some, like the Pirates and the Nationals, the answer is simple. For teams like the Braves, the answers are more complex. The Braves have an average payroll, above average rotation and that’ll get you to the post season. Get players that’ll get you some runs and you’re there in October. The Braves are not going anywhere but home when this season ends. Why did that happen? Is it just “the way the ball bounces”? Is it just “that’s baseball”, or is there something or someone that we can point to and confidently and reasonably say, “that was the one undeniable cause of our losing season”. In sports, that is almost impossible to prove and there are as many opinions as there are fans. I’m afraid this may be closer to what he wanted to say: I do know what to say after playing with this club… that it’s been frustrating from day one in Atlanta. First chance, I’m out’a here. Another perspective: Hate to mince words but must differ with the skipper… Wells was actually easy to “hit at”. We hit “at” him all night, trying to impatiently force the situation and pull the ball and wound up swinging at pitches way up and way out of the zone. Wells was “effectively wild” (stunk) but occasionally got one over. We helped him out a great deal by swinging at everything except, uh, the ones across the plate. This season is a nightmare for the Braves rotation, where one run might lose a game and three runs pretty much assures you of hanging one in the loss column. I’m not tracking, but it seems like we were on a pretty good roll until Chipper put himself back in. His pinch three run double made him forget all about the slumpfest he’s been in, figured he was invincible, happy days were here again and determined he’d play every game after that. That hasn’t worked out very well for Chipper or the team. But that’s just one player and I don’t hang this or any season on just one player. Was it untimely injuries to McLouth, Infante, Prado, Church, just as they were playing so well? Was it sticking with French and Kelly so, so incredibly long? Did we overlook Diaz too long? Was it the unwillingness or stubbornness to keep Chipper in, or allow him to camp in the 3 spot so long? Is it having Mac bat cleanup when Rochey would be a better fit? Were we one big bat shy of having a winning team? 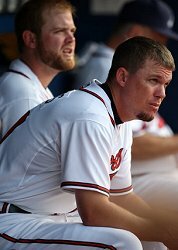 Should we have kept Conrad in Atlanta to play second, moving Prado to third to let Chipper have some real time off? Should we be resting Mac more and let Ross contribute? Was it a bad idea to pitch Gonzo and Soriano with big leads too many times or put them in to pitch too often on consecutive nights when most managers would’ve used others in the pen? Did we pitch Moylan way too much, especially with him coming off surgery? Is Lowe done as a starter? Have we mismanaged Medlen enough yet, jerking him around to the point of throwing him out of synch and robbing him of confidence? Has “loyalty” or “patience” with a struggling Norton hurt the team? Is Garret done as a position player? As always, there is not one single reason a team loses and not one single player that causes a team to lose the season. “All of the above” (and more) would be the only viable and fair answer to so many questions about this 2009 season. Yet, even with all of the injuries (which all teams have) and slumps (which all teams have), our starting pitching has been excellent. With the exception of Lowe, our rotation is at least as good as any in the game. Cy Young could not have won more games than Jair this year with such pitiful run support. This season, even with less than stellar offense, with just a little less loyalty and patience and that stubborn old playbook, the Braves could be ahead of the Phillies today. We had a good enough team this year but in my humble opinion they were mismanaged all the way. Bobby didn’t manage bad enough to be tossed out in mid season as some owners do, particularly because of the laurels he rests on, and he didn’t manage so blatantly bad that he lost all benefit of doubt about his current capability. The Braves were managed just well enough to almost win. Luck had nothing to do with this season like it did last year. Our injuries could have been played through. Rally-killing, automatic-out players that were mired in months long, excruciating slumps could have been lifted. Luck played no role in the 2009 season, unless you consider having a great manager that is (still) on top of his game good luck. A few less injuries to key players would have helped as would the good fortune of landing a big bat, but our bad luck in 2009 was bad managing. Maybe we’ll manage to get’em next year. After much angst, we all find ourselves wondering if this team can actually make the playoffs. 4&1/2 games back with nearly 6 weeks to go; certainly it will make for interesting theater. Good pitching beats good hitting, an old adage that has proven true for many seasons. With a National League best ERA, the Braves staff is once again leading the team to resurgence. So, what has changed to allow for the sudden optimism in Atlanta’s chances to again visit the post season after what seems to have been forever? Simple, good pitching combined with timely hitting. injury. It seemed to stop the Braves in their tracks just when the seemed poised to make a run. It was not until the insertion of Martin Prado as an everyday player that the Braves have once again regained a winning form. Now, that is not to say that Kelly Johnson was dragging down the team, only to say no one was providing the spark. 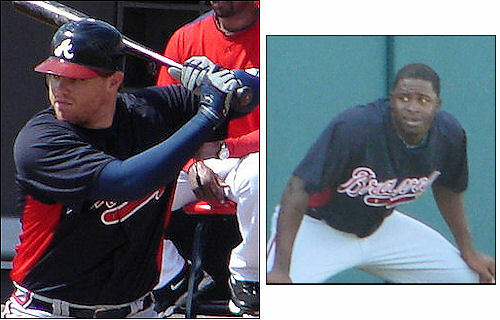 At the time, the Braves’ entire offense appeared centered around Chipper Jones and Brian McCann. As they went into their inevitable slump, so did the Braves. Fortunately, the much-maligned Frank Wren also recognized the correlation between the two. The trade of hometown hero Jeff Francouer for Ryan Church appears to have helped shake the Bravos out of their doldrums. Coupled with the acquisition of Adam LaRoche for Casey Kotchman has also aided in a resurgence of offense. Additionally, blog whipping boy, Kelly Johnson, appears to have regained his timing as well as his confidence after a stint on the DL and a rehab stay in Gwinnett. Now it appears Infante’ will be rejoining the club on Tuesday. While Diory Hernandez has a lot of upside, He is still a ways away from being an effective major league player. Infante’ is a much more proven utility man. In addition, two pitchers on the DL should be returning soon. Hudson and Carlyle should help bolster the pitching staff. While Manny Acosta can be effective at times, he is still pretty inconsistent. Perhaps the Nationals could use him in exchange for some of their prospects. IF the Phillies add Roy Halladay for their stretch run, I believe the Braves should become sellers and build for next year. Does that make me a quitter? No – it makes me practical. The Braves are struggling just to reach .500, for crying out loud. What justifies any real playoff aspirations? The system, though, is set up to begin providing great pieces possibly as soon as next year. Keith Law believes the Braves are set up better than any other NL team for the next decade. Uh, that’s long time, folks. I don’t have any desire to disrupt that for a failed attempt to make a very iffy run at a playoff spot in ’09 with a very flawed team.. The reality is that the Phillies are MUCH more talented offensively, but lack the front line pitching to push them over the top. Add Halladay to their mix, and the balance tips generously toward the City of Brotherly Shove. Those two are the next wave of Heyward and Freeman. Big time talents. SS Brett Hicks is disappointing this year, but has impressed every year prior. We already have Martin Prado and Brooks Conrad, who has proven to me that he can be a viable everyday major-leaguer. The only real hole is at 3B. But that is where depth elsewhere bails you out, right? One fact many people overlook is that a minor league system is for two purposes: supply the major league team, and swap excess to fill need. It’s not that far away, gang. That’s a young lineup aside from Chipper, and the pipeline is still full behind it. Yep, I want the Braves to succeed every year including this one, but I’m realistic enough to recognize their shortcomings. We sorely need a LF… we sorely need a RF… we sorely need a 1B. We aren’t filling all 3 spots before July 31. Just can’t do it. Anything short of that still leaves a flawed team. 78: What do you think?? 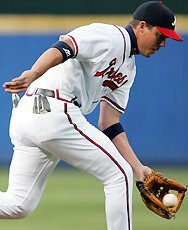 Now that it is Chipper’s elbow, can we at least begin again the discussion about a move across the diamond? He will most likely miss tonight’s game solely because he cannot make a throw from 3B. His bat? Gone… His presence? Gone… No knock on Kotch, who has done everything he is expected to do and then some, but he ain’t Chipper. Is it at least a valid talking point? This is such a complex issue, though. As you all know, Casey is productive. He hits; he doesn’t strike out; he does all of the little things right; he plays a phenomenal defensive 1B; he does everything you want BUT hit for power. And he isn’t Chipper. The flip side is… who plays 3B? Omar? He isn’t an everyday guy. Prado? Maybe, but is he Kotchman on the other side? Nice bat, good gap hitter, but not the power you want from a corner IF? There is no clear 3B anywhere in the pipeline. Van Pope? Van Nope. Eric Campbell? Not close. Brooks Conrad is interesting, but he isn’t an “up and comer”. The fact is, the Braves have no long term fill in for a guy who isn’t likely to play more than 130 games, and is getting a bit “long in the tooth”. I have tons of respect for Chipper Jones. I am not trying to hurry any natural or unnatural process along in any way, shape or form. But at some point reason has to rule over emotion. I think we are there. I think it has to be addressed. Looks like we got ourselves an Angel in the outfield! Height: 6’3″ Weight: 225 lb. With Garret Anderson, I really think the Braves are in a much better position to make their presence felt during the season than they would have been with Griffey. Thank goodness, he went back to Seattle! A three-time All-Star, Anderson had spent his entire career with the Angels and holds several franchise records, including games played (2,013), runs scored (1,024), hits (2,368), doubles (489), total bases (3,743) and RBI (1,292). He ranks second in home runs (272) and career batting average (.296). Anderson helped the Angels win the World Series in 2002, hitting .300 with two homers and 13 RBI in the postseason. Los Angeles declined to pick up his $14 million option after last season, instead paying a $3 million buyout. I can still remember seeing Garret play as a rookie for the Angels and being in amazement on how talented, humble, and professional this young man was. How was I to know that 15 years later we would be saying the same things about him. Braves fans should be ecstatic. He has so much more left in the tank then Jr and could really make a huge impact on the Braves title hopes for 2009. I have never been a Braves fan but I will be watching their box scores this season and pulling for them strictly based on their acquisition of Anderson. He plays the game the way it was meant to be played. He is one of those few players that would be successful regardless of the time period he played in. I know the Braves are high on character and it sure sounds good to me! I truly hope Francoeur can reverse his fortunes of last year – and I think he will. Chipper has given him pretty high marks this spring and he’s usually honest in his comments. Centerfield? Hmmm. Anderson? Blanco? Schafer? Anderson-Anderson-Francoeur? Not bad. We’ll just have to see how that one comes out of the wash.